Blu is one of the best known manufacturers in America, and it is specialized in mid and low- range devices, where they had the largest market share. Recently, the company launched a high-end smartphone, the Pure Life XL, a worthy competitor to the highest level devices available on the market. Now it has introduced two new devices, the Blu Vivo IV and the Life 8, which will become part of their catalog in a few weeks. Both have an 8-core processor, but the rest of the specifications are completely different. The Life 8 is a mid-range terminal, with 1 GB of RAM, a screen with 720 pixels and 8 GB of internal memory. However, the Vivo IV plays in another league. 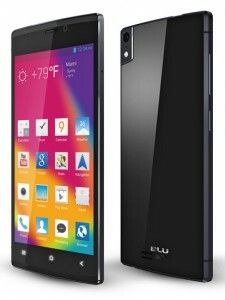 The Live Blu IV has a Super AMOLED 5-inch 1080 x 10920 screen protected from hits and scratches with Gorilla Glass 3. It has an octa-core processor from Mediatek with ARM MALI 450 GPU. It has 2 GB of RAM and 16 GB of internal memory, with no other version with more memory, and it does not have microSD slot. It is powered by a 2200 mAh battery and runs Android 4.2.2, but the company says it will soon be updated to Android 4.4 Kitkat. It also has a 13 MP rear camera and a front of 5 MP. This device has really spectacular dimensions. With all this hardware, it manages to have a thickness of 5.5 mm and its lateral aluminum frame gives it a very stylish and rugged look. The back is also coated with Gorilla Glass and is completely smooth except for the camera, which is located in the upper left corner. Following the style of the other devices from the company, it has capacitive buttons for menu, home and back. The interface follows the same style as the other devices on the Pure Life series, a simplified version of the Android launcher. It has a static widget at the top with the weather and all the apps are on the home screen. However, if we want to customize it to our liking, we can always install another launcher from the Play Store. 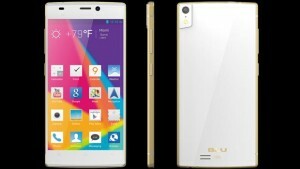 The Blu Live IV is definitely a very stylish device with some pretty good specs and a reasonable price. Its only weak points are the lack of LTE connectivity and limited internal memory to 16 GB without possibility to expand it via SD card. With the phones, Blu also includes a case. With this model, it is a fine and elegant cover that provides an extra point of protection. The Blue Vivo IV will arrive to Amazon in the coming weeks, and it will go on sale for $299. It will be available in White-Silver, Rose Gold, and Black.